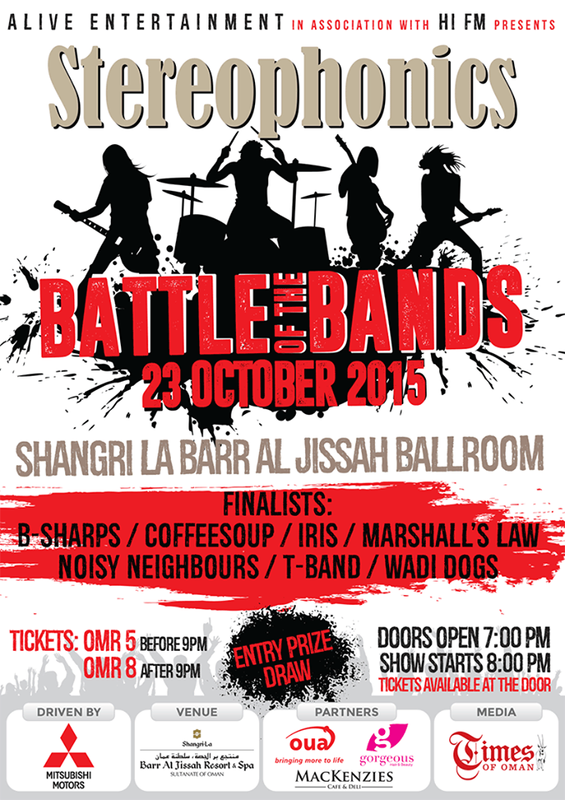 Tomorrow night from 7pm at the Shangri-la ballroom there will be hosting a Battle of the Bands between 7 bands for the chance to open for the Stereophonics on the 12th of November when the Welsh band comes to Muscat (tickets are still available for that and they start at RO 25 a pop). 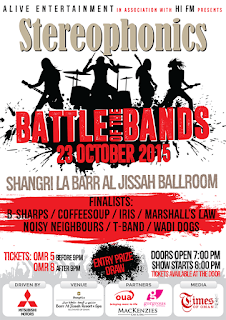 The doors open at 7pm and the show starts at 8pm tomorrow. Tickets are available on the door for RO 5 before 9pm and RO 8 after 9pm. Each band gets 20-30mins to play a set and then the best band gets to open for the Stereophonics next month!